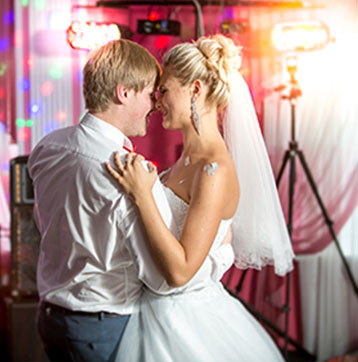 If you want to make sure your party's a hit, why not turn up the fun factor with a mobile disco? Candy's Mobile Disco provides fantastic live entertainment for all occasions, including kids' parties, corporate events, private parties, weddings, anniversaries and more! I'll bring all the equipment needed to get the party started, including lights, speakers and of course, my repertoire of hits (ranging from the 60s through to current chart toppers). I can transform any venue into a disco wonderland. Candy's Disco has been the life and soul of parties throughout Sheffield since 2005. I'm an experienced DJ and have a great rapport with party crowds. No matter what the occasion, I'll get everyone dancing. I can also provide a karaoke facility so that you and your guests can take centre stage. If you don't know the all the words, just follow along on screen. With an extensive choice of backing tracks and professional quality sound, you'll be the star of the show! I am fully licensed, Public Liability insured and all equipment is PAT tested for your peace of mind. My disco and karaoke hire services are available at very competitive rates. To book Candy's Mobile Disco for your event, get in touch with me today. During busy periods (i.e. Christmas and New Year) it's advisable to book early to avoid disappointment. © 2019 Candy's Disco All rights reserved.